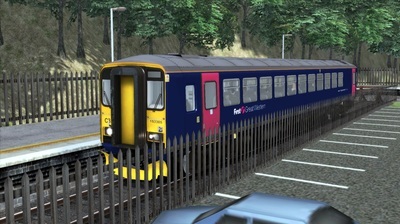 The Class 153 units were built in 1987 and 1988 by British Leyland, as two-coach Class 155 units. 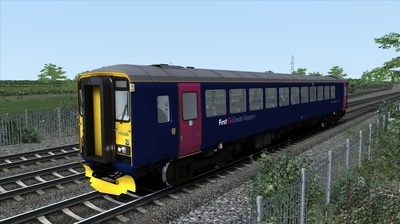 In 1991, most were converted to the single-coach Class 153 units by Hunslett-Barclay, and they are currently in service on regional trains across the UK today. 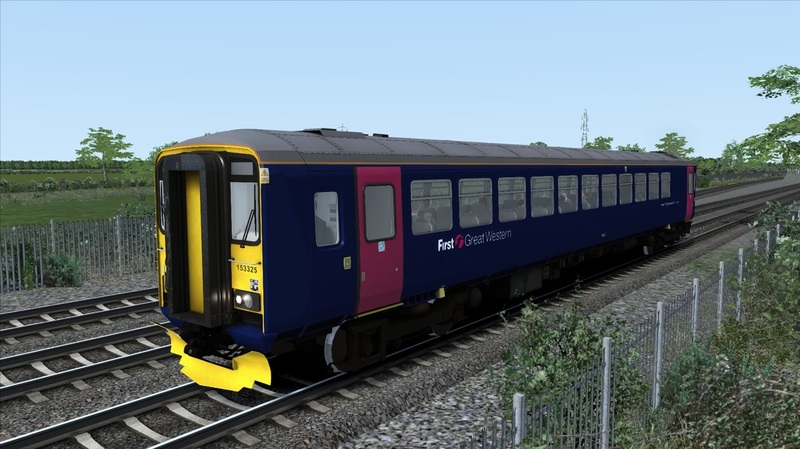 The fleet are similar to the pacers, in that they are based off of a Leyland National bus body, however the Class 153s and Class 155s have much better suspension and doors, giving an overall superior passenger experience. 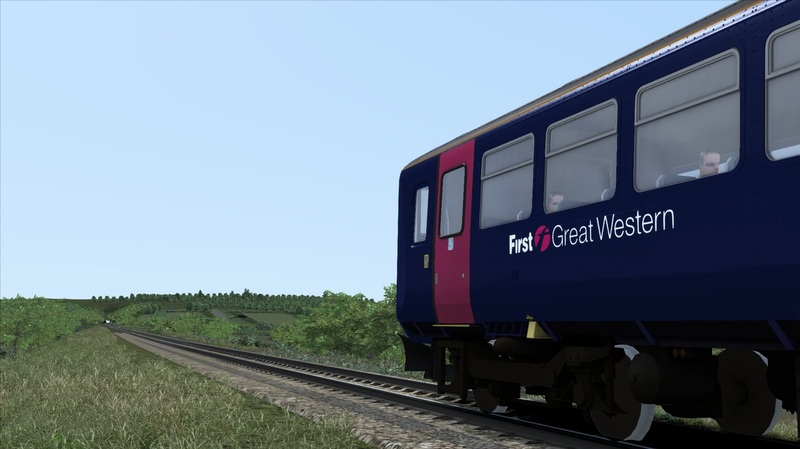 Currently, Great Western Railway operate fourteen units, maintained at Exeter Depot. 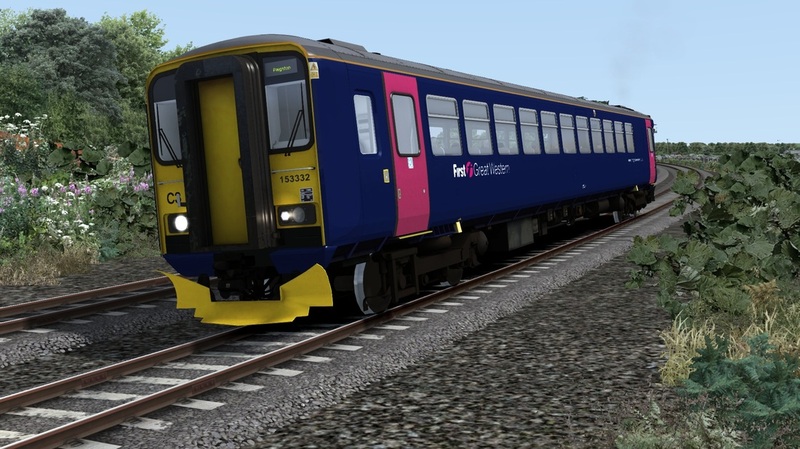 They are used primarily on stopping services in Devon, and around the Bristol area. 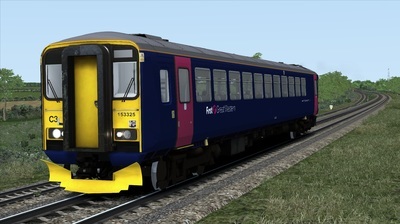 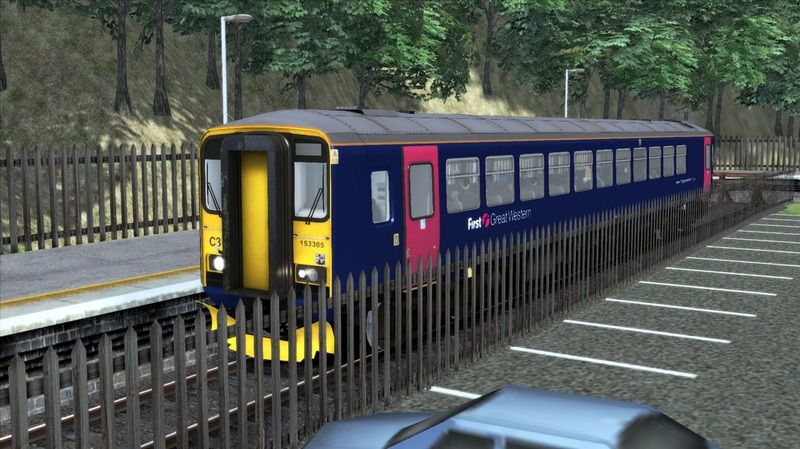 Click below to download the Class 153 DMU in use with Great Western Railway, in the First Great Western plain blue livery, including a quick-drive consist, and forty custom destinations. 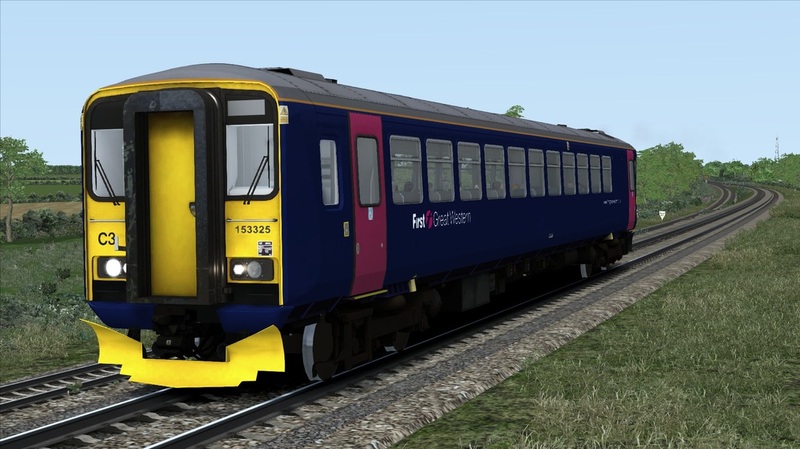 You need the Class 153 Advanced from JustTrains to use this reskin.